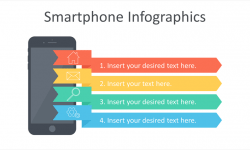 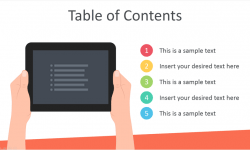 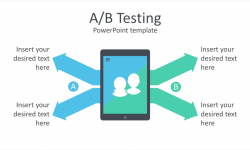 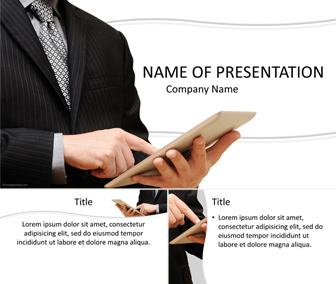 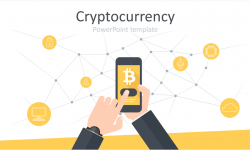 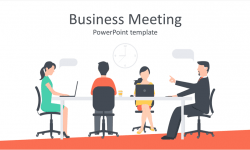 Take your presentation to the next level and present your ideas with this simple business PowerPoint template with a businessman holding an iPad. 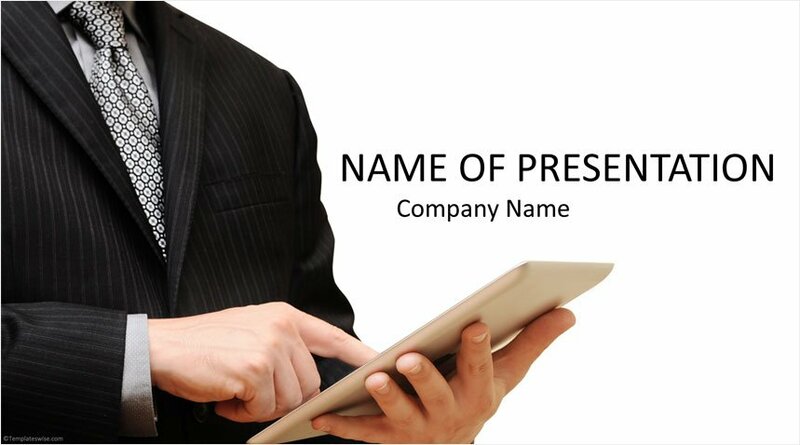 We have updated the title slide and removed the waves behind the title in order to get more space and a cleaner template design. 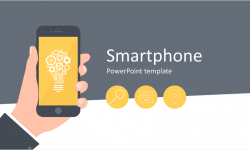 This theme will fit various presentation topics like mobile devices, remote working, office etc.